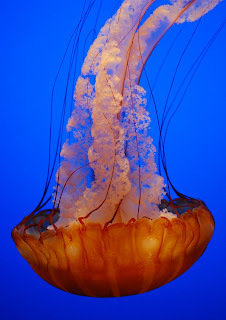 This Pacific Sea Nettle (Chrysaora fuscescens) is a ravenous carnivore, but it's not poisonous enough to kill you. 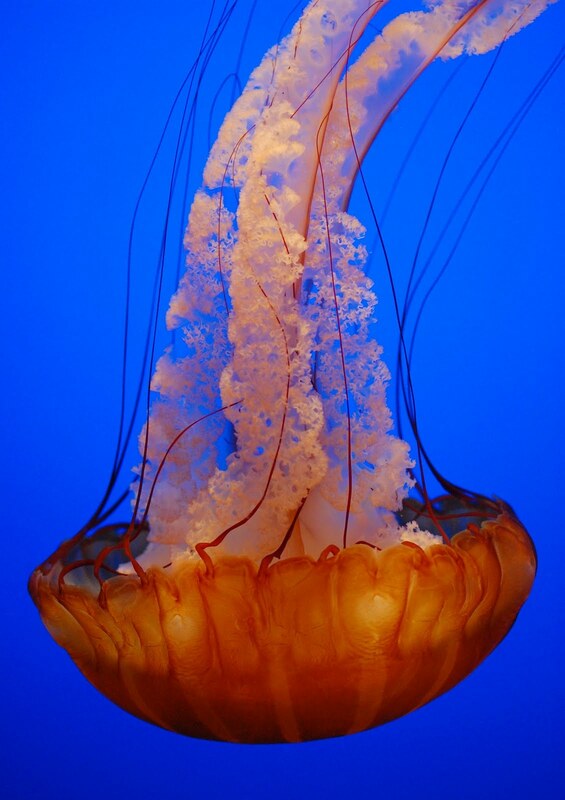 Here it spends its days gliding around the Monterey Bay Aquarium, tantalizingly close to the unbounded expanse of the Pacific. so you DID come to the area. Sorry I missed you! I love your poetical style.